Rene Vidal, a director in decline, decides to remake Louis Feuillade's silent serial "Les Vampires." 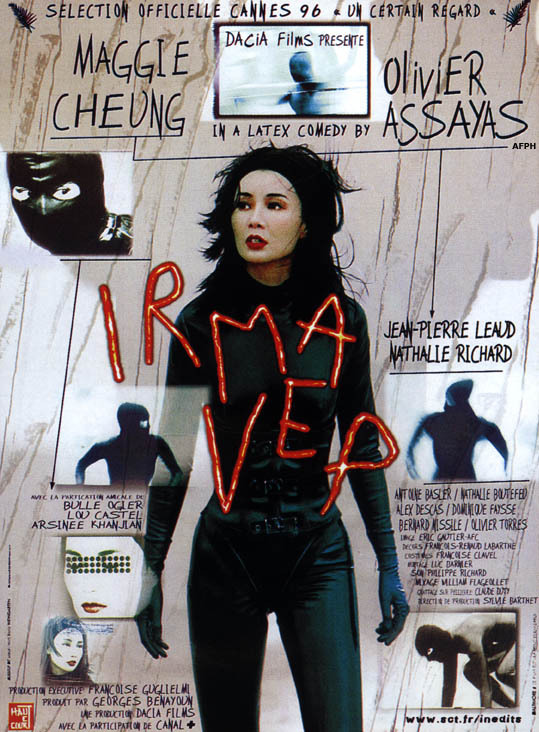 Believing no French actress can match Musidora as Irma Vep (an anagram for vampire), he casts Hong Kong action heroine Maggie Cheung, though she speaks no French. On the chaotic set, she's aided by Zoe, the wardrobe mistress with a crush on her, she defends Vidal to a Parisian journalist who trashes all French film and praises John Woo and Schwarzenegger, she befriends Vidal when he goes over the edge, and, in costume, she breaks into a hotel suite to steal jewels as her victim talks on the phone. We also watch the making, the rushes, and the remains of Vidal's unfinished film.